Enjoy sunbathing on deck, turquoise waters and best places spotted by locals and known by our skippers. 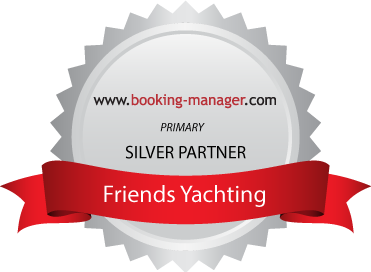 You get a Professional RYA Yachtmaster together with your own personal host. I enjoy working for Friends Yachting and I always try to discover new places and try new adventures. You can ask me anything about sailing holidays. Let's get in touch on FB. Alex and Ancouza, Ancuta (oops!! ), Thanks for a great week despite the weather! If you are ever in the Boston area, shoot me a line. Wishing you both all the best in the future! Thanks, Sonja. For me, sunbathing in the middle of the sea was the only thing I could think of when the idea of sailing occurred. 'Friends Yachting' showed me a new way for spending my summer holidays. Many things make me sail again and again with 'Friends Yachting'. Since 2010 when I first experienced sailing I've been to Greece and Italy. I recommend a glass of wine, at lunch, close to Panarea, at Lisca Bianca.